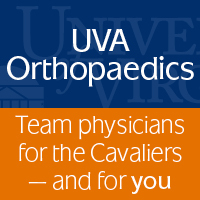 It is an honor and a privilege for me to be elected as President of the Virginia Orthopaedic Society. First, I would like to take this opportunity to recognize the contributions of our outgoing President, Seth Cheatham. It was a pleasure working alongside Seth and the rest of the VOS Board of Directors this past year. I feel as though we accomplished many things for our society and I look forward to the challenges that await us. I would also like to thank VOS Past Presidents: Quanjun “Trey” Cui, Mark Romness, T.K. Miller and John Mann. You have all served as role models, mentors and friends during my formative years in VOS. Second, I would like to congratulate the 2018 Program Co-chairs, Drs. Brian Werner and Alexander Vap on an outstanding Annual Meeting. The Greenbrier was an excellent location, which we all enjoyed. Keynote addresses by Dr. Robert G. Marx from Hospital for Special Surgery and Dr. William L. Griffin from OrthoCarolina were highlights of the meeting. The 2nd Annual Resident Quiz Bowl was again successful and entertaining for both competitors and observers. Unfortunately, the VCU team could not defend its title, giving up the trophy to a strong showing from the UVA team. A valiant first time showing was made by the team from Portsmouth Naval. This year’s competition taught us that all three programs were truly in it to win it and our new champions from the University of Virginia will work hard to defend their title next year in Washington, DC. 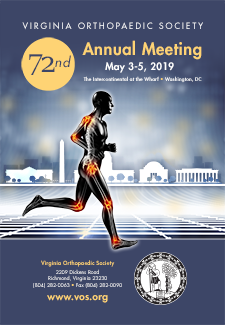 Our 72nd Annual Meeting will return up north to Washington, DC on the weekend of May 3-5, 2019. We recently secured our accommodations and logistics for the brand new Intercontinental Hotel at the Wharf. This recently opened hotel is part of DC’s $2 billion waterfront revitalization. 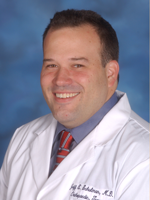 Dr. Ryan Miyamoto from Northern Virginia and Dr. Seth Yarboro from UVA have agreed to act as Program Co-chairs. 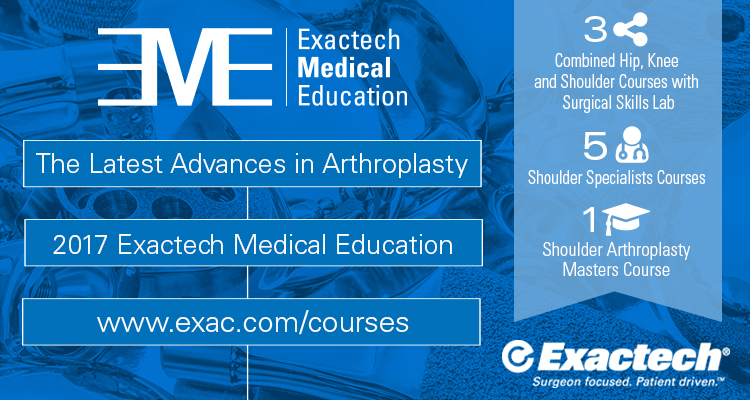 With an emphasis on Sports Medicine and Trauma, the educational program is certain to appeal to a broad spectrum of surgeons. Even just a few days out from a great Annual Meeting at the Greenbrier, I am hoping my first actions as President are to lay the groundwork for an equally impressive meeting next year that will not disappoint. I think all members will have plenty to look forward to with the perfect ingredients of two dynamic co-chairs, a fantastic location, and perfect early May DC springtime weather. I invite you all to mark your calendars now. 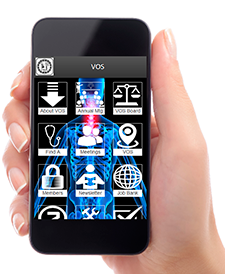 From a legislative point of view, the VOS Board has actively participated in many activities that are imperative to the process for policy reform. Over the last several years, as I have risen through the ranks of our society, I have come to understand that this is probably our most important role as a society. We are often recognized as one of the most vocal and active medical specialty societies and have been at the forefront of several significant legislative issues for our specialty. As the newly-elected President of VOS, I am committed to continue working hard on our members' behalf and interests. We need to understand that working together as a team is the key to success. I would like to extend many thanks to our members serving on behalf of our society on various committees within our state and beyond, including our representatives to the Medical Society of Virginia and the AAOS Board of Councilors. For most of you reading this, thank you for your membership in our society. 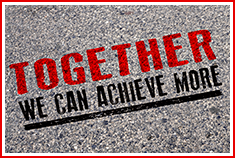 Your membership dues make our efforts possible. For those that are not a member yet, I would strongly encourage you and your entire practice to join and allow us to continue to fight on your behalf at the state level. Remember, most politics that affect your practice actually occur at the local and state level. For the upcoming General Assembly session, we will again be focusing our efforts on COPN reform. Additionally, there will be a major focus on efforts to reform the Maintenance of Certification process, which is widely considered burdensome and detrimental to the patient care activities of physicians in our state. Cal Whitehead, our VOS lobbyist, will expand on these and our other legislative goals with his update in this newsletter. As always, we can’t thank Cal enough for his great work. A key to our success will be greater contribution to the OrthoPAC. Again, we had 100% contribution by the VOS Board this past year, and small but growing help beyond that. I fully realize we are constantly asked to give money by an endless number of entities, but this is a chance to make a difference at the local level where change truly affects your practice. In closing, I am honored to act on behalf of our profession and membership in my position as President and look forward to continuing the political and educational growth of our society.